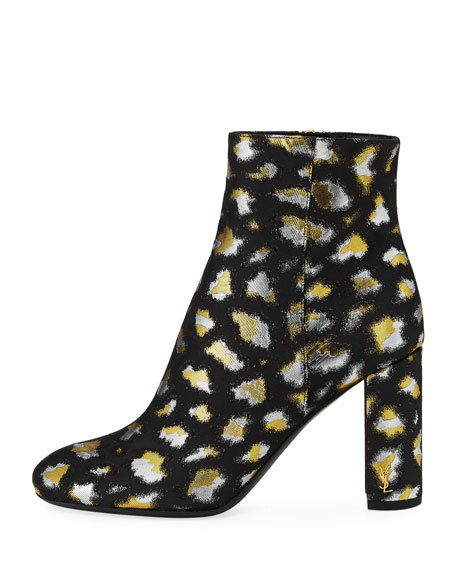 Saint Laurent bootie in metallic leopard jacquard. 3.8" covered block heel with metal YSL logo. For in-store inquiries, use sku #2184602. 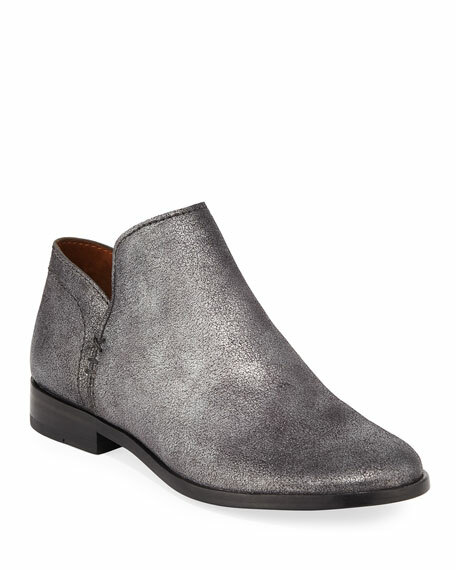 Alexander McQueen suede sock-style booties with crystal design 4.1" metal pedestal heel. Pointed toe. Back zip eases dress Leather lining. 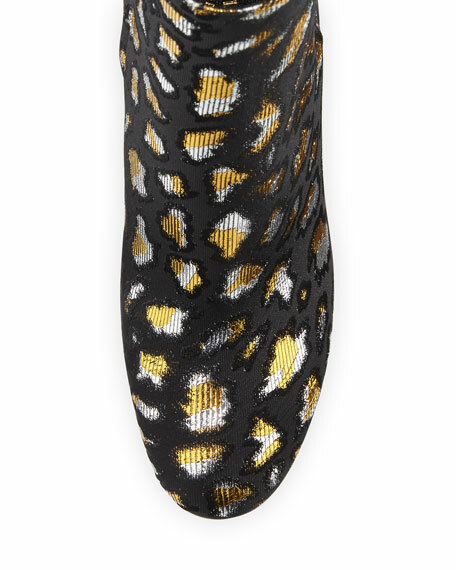 Smooth outsole. Made in Italy. 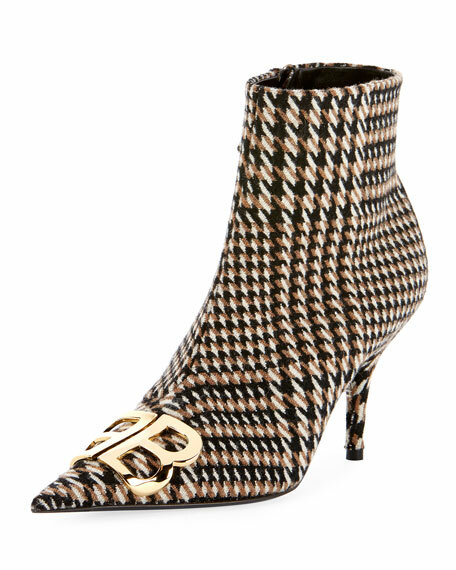 Balenciaga "Prince of Wales" knit bootie in houndstooth pattern. Covered stiletto heel. Pointed toe with metal BB logo. Side zip eases dress. Leather lining and sole.